This book was published c. 1965 and was available in the Delta Queen gift shop for $1. 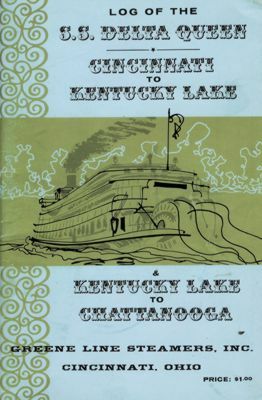 Passengers could trace the boat's journey from Cincinnati to Kentucky Lake, then Kentucky Lake to Chattanooga. Our thanks to Charles Shaw for generously donating this item to Steamboats.com.